Hey guys! 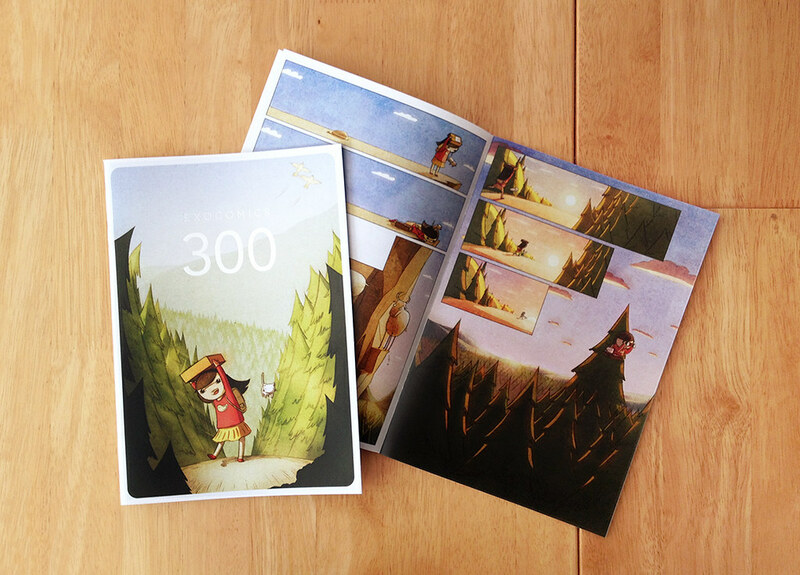 We're excited to announce that comic #300 is now available in book form in the store! It's 16.5cm x 23.3cm, 24 pages and is only NZ$15 (worldwide postage included). By have my children I mean I just left them at your door and have now driven away. Good luck. Now you can be a family again! That is one beautiful wavy ocean of shiny hair. Note to self: Buy any products Li endorses. @If-you-look-deep-inside-yourself-we-are-all-atleast-a-little-bit-Billy You are so wrong. Dad is a cat... explains EVERYTHING. oh wow... Li... you need to read "The Gigantic Beard That Was Evil". Based on this comic alone, you will love it! I can haz long n'shine? Damit I spelled my name wrong!!!! !